Google have announced today that they are changing their algorithm to detect browsers and devices to display search results relevant to the browser the user is operating. What does this Google Mobile-friendly Change mean to non-technical people? It means if you have a website that is not optimised for mobile devices then you will not achieve high rankings in Google search results. Google have said that this change will be taking place on the of 21st April 2015. This means it is now time to contact a web design company to learn what is required. 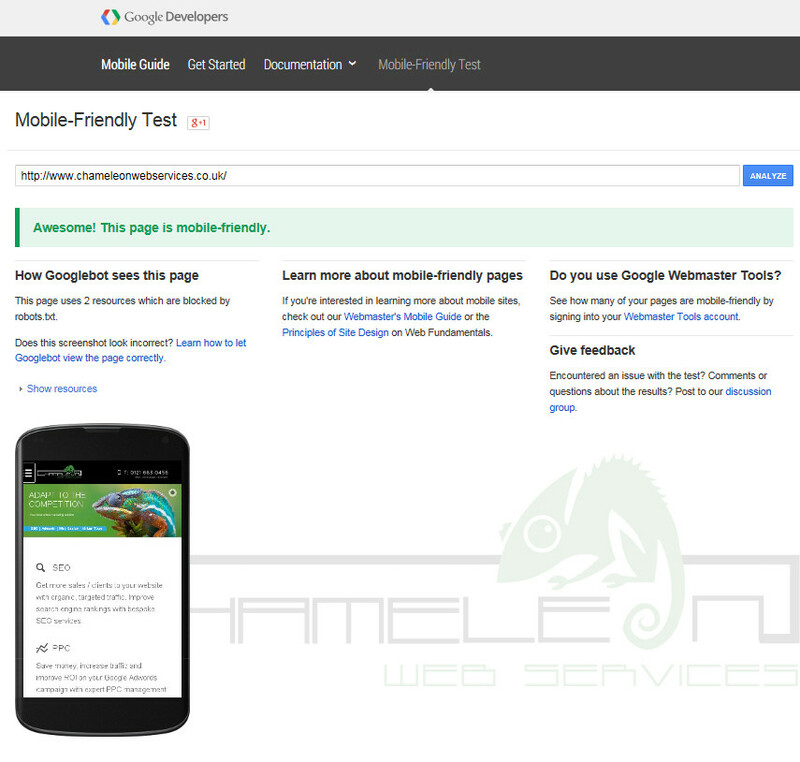 You can test your website now using the Mobile-Friendly Test. If you need help, please get in touch with Chameleon on 0121 663 0456 or email us to let us know your domain name. We’ll provide a quick check to see what is required, it might be a simple process to make your website mobile friendly. Wonder World Theme Park at Edgbaston Cricket Ground Virtual Tour Answering the question what colour is the dress!